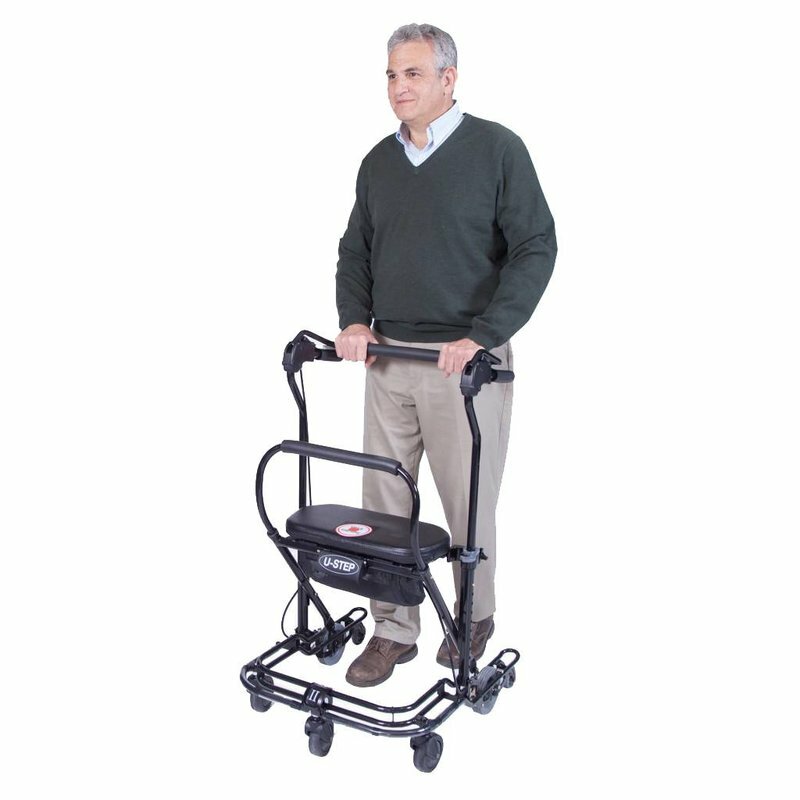 The Press Down version of the U-Step 2 is for those who find it difficult or who are unable to squeeze a standard hand brake with either hand. 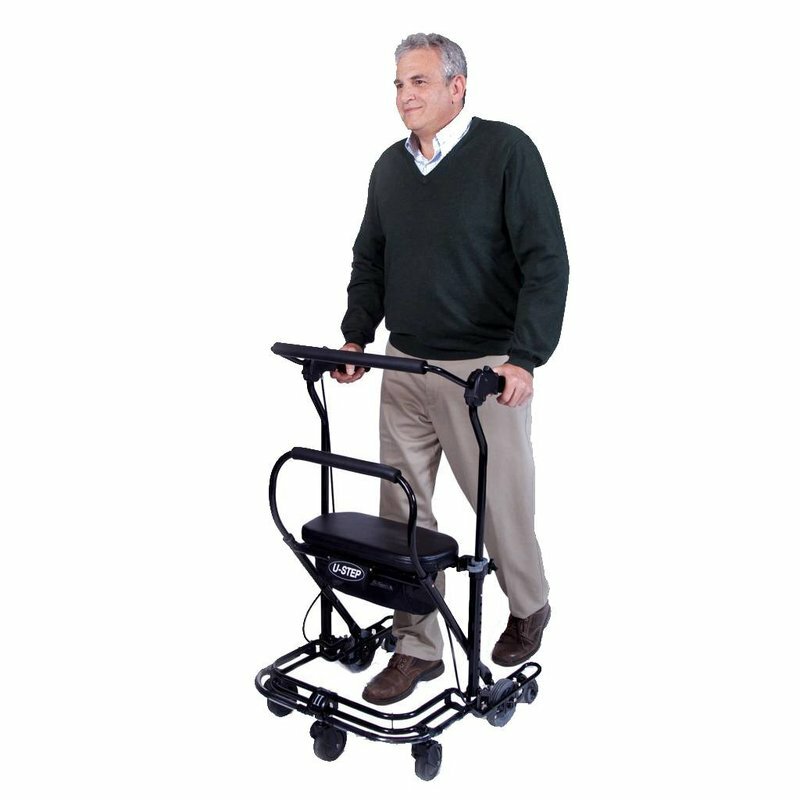 Standard (5'2"-6'1" tall) 22" seat height; handgrips up to 38.5"
Small (4'3"-5'2" tall) 19" seat height; handgrips up to 35.5"
The Press Down version of the U-Step 2 is for those who find it difficult or who are unable to squeeze a standard hand brake with either hand. Choose Left or Right handle brake. 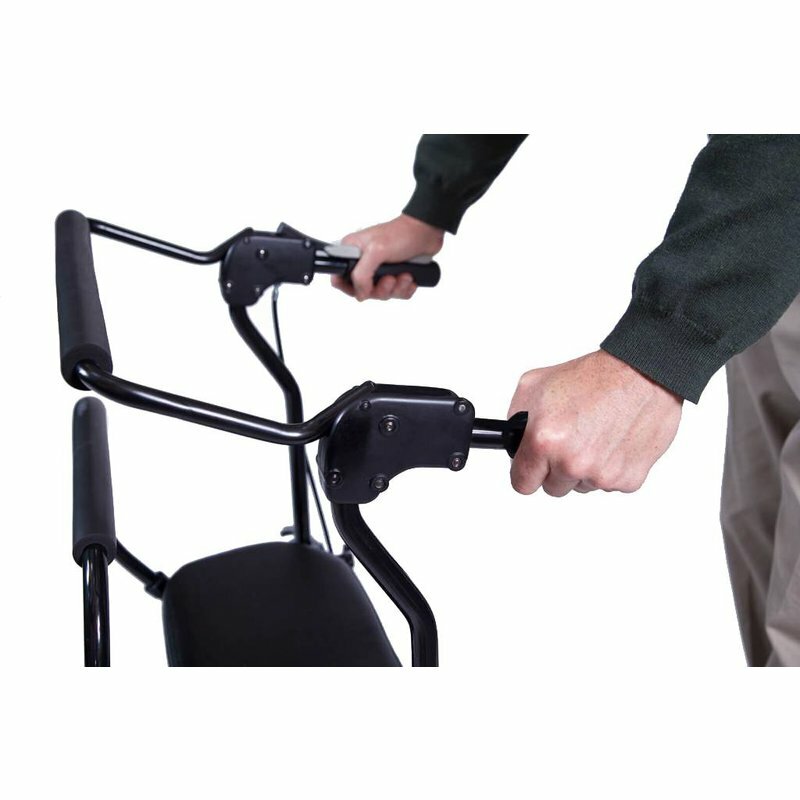 One hand brake operates both sides of the walker. The optional Laser & Sound cueing module is ideal for those with Parkinson’s freezing.